NEWS AND NOTES: Darius, Luke, Lady A, Sam, Vince and more. 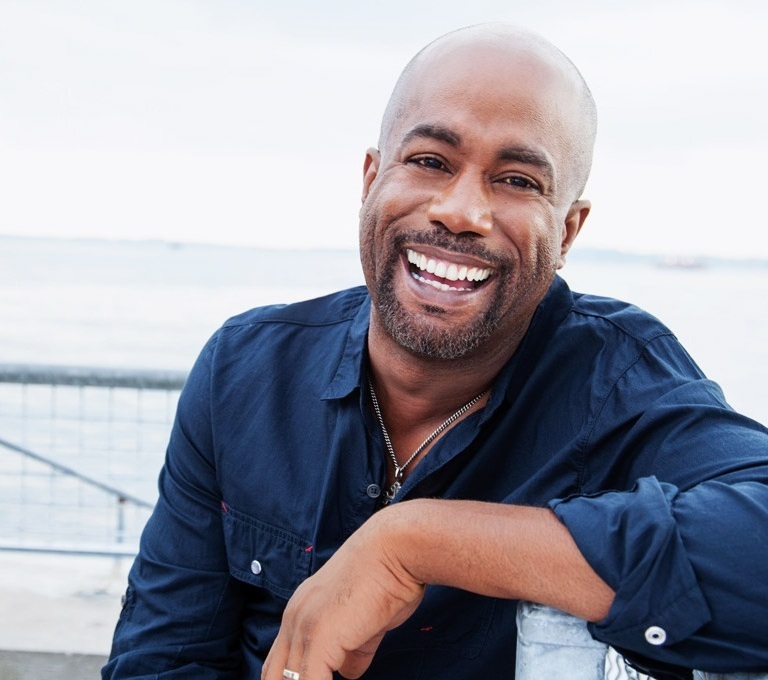 Darius Rucker will once again take on Big Band tunes in a one-night show at the North Charleston Performing Arts Center on Tuesday (February 17th). The concert benefits the MUSC Children’s Hospital Fund, a non-profit organization that helps provide the best possible healthcare experience for MUSC’s youngest patients and their families. 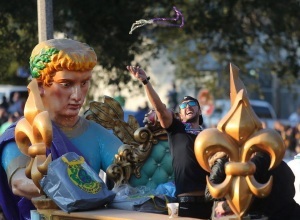 Luke Bryan enjoyed his time as Grand Marshal of the Endymion parade and headlined the huge post-parade Extravaganza at the Superdome several hours later. Pals Willie and Korie Robertson (Duck Dynasty) joined Luke and his wife Caroline for some of the festivities. Lady Antebellum’s Charles Kelley won a closest-to-the-pin contest and assured a victory for Team Clint Eastwood during the 3M Celebrity Challenge at the AT&T Pebble Beach Pro-Am last week in Pebble Beach, California. Jake Owen, Rascal Flatts’ Joe Don Rooney and Clay Walker also played in the tournament. Sam Hunt shot the video for his latest hit, “Take Your Time,” last week in Nashville. Vince Gill and his lovely wife Amy Grant will return to Nashville’s Ryman Auditorium for eight Christmas shows this year beginning December 2nd. Tickets are now on sale through Ticketmaster. LUKE BRYAN HOLDS STEADY AT NO. 1 FOR A SECOND WEEK IN A ROW. Luke Bryan continues his reign at the top of both country charts this week with his latest smash, “I See You.” The song is the sixth No. 1 song from his multi-platinum album, Crash My Party. *Luke is getting ready to hit stores with his latest – and final – Spring Break album, Checkin’ Out, March 10th. *Luke is nominated for four ACM Awards this year, including Entertainer of the Year, Male Vocalist of the Year, Song of the Year (“Drink a Beer”) and Vocal Event of the Year (“This is How We Roll” with Florida Georgia Line). Audio / Luke Bryan says with his recent accomplishment – six No. 1 singles from Crash My Party alone -- he always dreamed of having a live show full of hit songs. LUKE BRYAN IS SET TO RELEASE HIS FINAL SPRING BREAK ALBUM, CHECKIN’ OUT, MARCH 10TH. 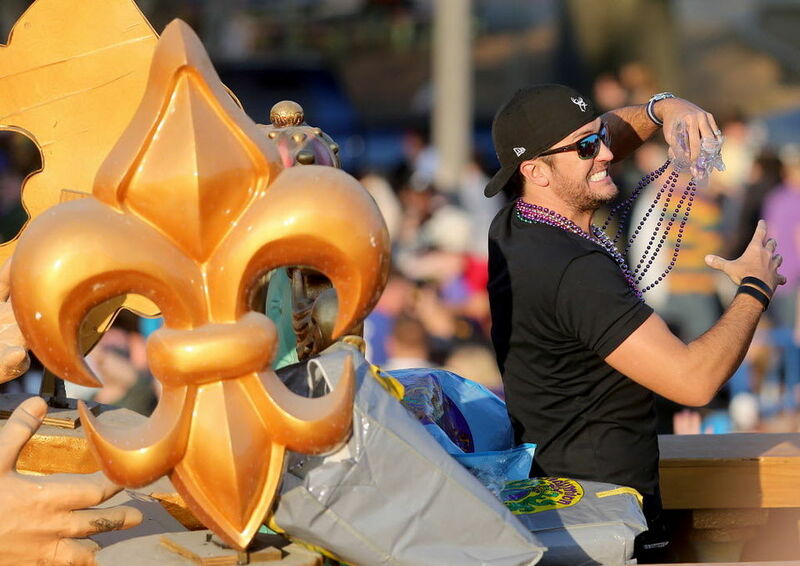 NASHVILLE, TN – (February 4, 2015) – The 50th ACM Awards Show co-host and reigning CMA Entertainer of the Year Luke Bryan will release his final Spring Break album, Spring Break…Checkin’ Out on March 10. Spring Break…Checkin’ Out will be available in record stores as well as digitally and will contain five *new, original songs all co-written by Luke plus all six songs from last year’s EP. Pre-order the album at http://umgn.us/LBSBCO . Walmart will carry an exclusive deluxe package, Luke Bryan Spring Break…The Set List: THE COMPLETE SPRING BREAK COLLECTION ZinePak, which will include a two-disk set with all 25 songs plus a 48-page magazine with exclusive interviews and photos from each of the previous spring break releases including the five new songs from this year. This limited-edition commemorative collectible is available only at Walmart and Walmart.com while supplies last. Luke’s collection of all six previous Spring Break releases combined have over 1.1 million sales to date. Luke will play two free concerts at Spinnaker Beach Club in Panama City, Florida on March 11 and 12. Over 230,000 fans came out for last year’s shows. Last week, Luke received four nominations for the 50th Academy of Country Music Awards, Entertainer of the Year, Male Vocalist, Song of the Year for “Drink A Beer” and Vocal Event for “This Is How We Roll” with Florida Georgia Line. Luke will co-host the 50th ACM Awards for the third consecutive year with Blake Shelton on April 19 from AT&T Stadium in Arlington, TX on the CBS Television Network. Audio / Luke Bryan talks about doing just one last Spring Break album. Audio / Luke Bryan says his Spring Break shows have always been a highlight each year. LUKE BRYAN IS NO. 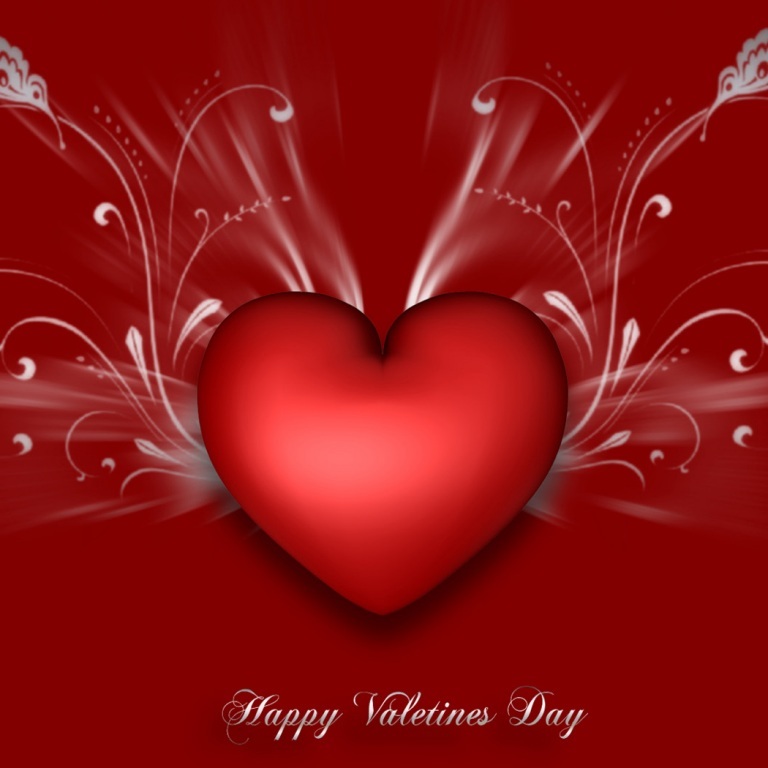 1 WITH LATEST SINGLE. Luke Bryan climbs to the top of both country charts this week with his latest smash, “I See You.” The song is the sixth No. 1 song from his multi-platinum album, Crash My Party. Luke is excited to get out there and play his latest hit for his fans. “‘I See You,’ for me, I felt like I wanted to play it live. I just loved the intensity of how edgy the song is. I had never went that far with almost kind of a rock feel, and I just felt like it was a hit, and I just really wanted to get it in the hands of my fans. Luke is getting ready to hit stores with his latest – and final – Spring Break album, Checkin’ Out March 10th. Audio / Luke Bryan wants to see how his latest No. 1 single, “I See You,” does on the road. LUKE BRYAN LOOKS AHEAD TO THIS YEAR’S ACM AWARDS NOMINATIONS. The nominations for this year’s Academy of Country Music Awards will be revealed on Tuesday (January 27th), and one artist who hopes his name will be among those called is the 2013 ACM Entertainer of the Year,Luke Bryan. The 50th Academy of Country Music Awards will be broadcast live – for the first time — from the AT&T Stadium in Arlington, Texas April 19th at 8pm ET on CBS. Luke and Blake Shelton return as co-hosts. 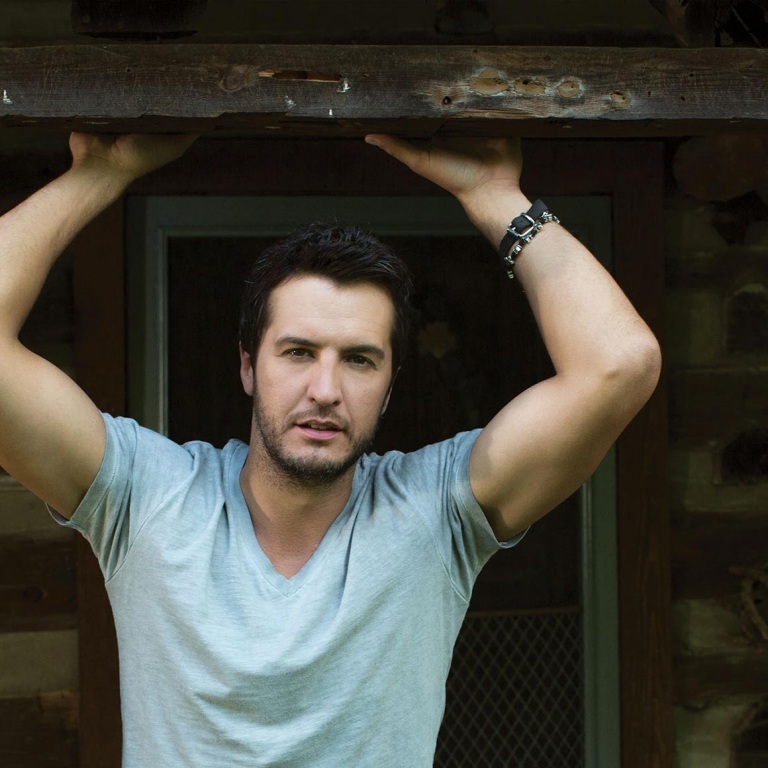 Luke’s latest single, “I See You,” is sitting inside the Top 3 on the country charts. Audio / Luke Bryan talks about ACM nominations day, which is coming up on Tuesday (January 27th) this year. LUKE BRYAN ANNOUNCES THE ‘KICK THE DUST UP TOUR,’ STADIUM DATES, HALL OF FAME EXHIBIT AND HIS SEVENTH AND FINAL SPRING BREAK ALBUM. Nashville – (January 21, 2015) – The reigning CMA Entertainer of the Year and co-host of the 50th ACM Awards Luke Bryan announced his plans for 2015 during a press conference hosted this morning in Nashville at the Country Music Hall of Fame® and Museum. The press conference was streamed live at www.lukebryanlive.comand can still be viewed online. 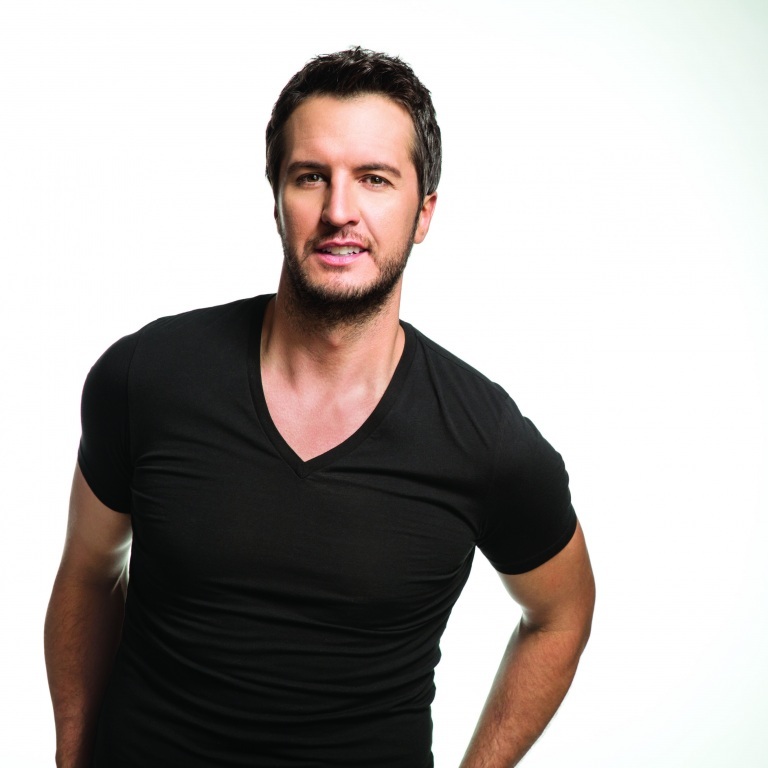 Luke will launch a new tour, “Kick The Dust Up Tour,” on May 8 in Grand Forks, North Dakota. Last year Luke played before 1.7 million fans and due to the highly successful “That’s My Kind of Night Tour” and it’s all sell-out run including four stadium dates, this year’s tour will include seven stadium concerts- June 6 at Sports Authority Field at Mile High in Denver; June 20 at TFC Bank Stadium in St. Paul; Vanderbilt Stadium in Nashville on July 11; Cincinnati’s Paul Brown Stadium on July 18; Levi’s Stadium in San Francisco on August 29; the FirstEnergy Stadium in Cleveland on September 5; and wrapping the tour at Ford Field in Detroit on October 30. Randy Houser and Dustin Lynch will open the “Kick The Dust Up Tour” and Florida Georgia Line and Thomas Rhett will be added as special guests on all the stadium shows. Fans can purchase tickets beginning Jan. 30 for select cities as part of Live Nation’s Country Megaticket at www.Megaticket.com and can check www.lukebryanlive.com for opportunities to enter to win fly away promotions to the stadium shows or further information about additional on sales. Live Nation is the national tour promoter for the “Kick The Dust Up Tour” and Cabela’s, the World’s Foremost Outfitter of hunting, fishing and outdoor gear, is a sponsor. Cabela’s CLUB Visa Members will have access to presale tickets and preferred seats in select markets. Complete details are available at www.cabelas.com/lukebryan. Citi is the official credit card of Luke Bryan’s “Kick The Dust Up Tour.” Citi cardmembers will have access to presale tickets through Citi’s Private Pass Program beginning today. For complete presale details visitwww.citiprivatepass.com. Luke will release his seventh Spring Break album on March 10, “Spring Break…Checkin’ Out.” This will be the final project of Luke’s Spring Break series and it will be available in stores as well as digitally. The collection of Spring Break releases combined have over 1.1 million sales to date. Luke will return to Panama City Beach for two free shows on March 11 & 12 at Spinnaker Beach Club where last year’s concerts brought in a combined 230,000 fans. This May, the Country Music Hall of Fame® and Museum will unveil a new exhibit highlighting special treasures from Luke’s career giving fans an inside look to one of country music’s hottest entertainers. The exhibit will run through November 2015. During February and March, Luke will head overseas for his first international performances in the United Kingdom, Germany, Ireland, Sweden and Norway, including four C2C: Country to Country shows. Since the debut of his first album in 2007, Luke Bryan has placed 11 singles at No. 1 and sold nearly 7 million albums with 27 million digital tracks from his four studio albums and has been named Entertainer of the Year for both the Academy of Country Music and the Country Music Association. Luke’s latest album Crash My Party was 2013’s best-selling country album which sold over two million copies with 8 million digital downloads, is certified Double Platinum, won the Billboard Music Award for “Top Country Album” and contains five consecutive No. 1 hit singles- “That’s My Kind of Night,” “Crash My Party,” “Drink A Beer,” Play It Again” and “Roller Coaster.” Luke made Billboard chart history last year by reaching the No. 1 spot on Billboard’s Country Airplay chart with “Play It Again” and “This Is How We Roll” with Florida Georgia Line claiming the No. 2 spot. Luke became the first artist to ever hold the two top positions since the chart began in 1990. Luke Bryan achieved the best touring year of his career in 2014 with 1.7 million fans attending his concerts. Highlights from his “That’s My Kind of Night Tour” included four sold-out stadium shows where a combined 225,000 people attended; setting an all-time country record for sold tickets at Heinz Field in Pittsburgh and at Soldier Field in Chicago; selling out two shows in New York City’s Madison Square Garden and becoming the first country artist to play Brooklyn’s Barclays Center. The tour also had sold-out double plays in eleven cities and broke numerous venue attendance records along the way. Luke is the reigning CMA Entertainer of the Year and will co-host the 50th Academy of Country Music Awards with Blake Shelton for a third consecutive year on April 19, 2015. For up to date information on Luke, the tour and tickets go to www.lukebryan.com or www.livenation.com. Audio / Luke Bryan talks about the title of his 2015 tour -- Kick the Dust Up. Audio / Luke Bryan talks about his special guests for both the Kick the Dust Up Tour and his stadium dates.